The editors of the Journal of Financial Regulation invite submissions for the Journal’s 2018 annual conference, which will be held June 29, 2018. Submission details and deadline: The submission deadline is March 1, 2018. Papers should be submitted via email to Geneviève Helleringer at assistanthelleringer[@]gmail.com. The subject line of the email should state “JFR Conference Submission”. To facilitate blind review, names and other identifying information should be redacted from the submitted paper (but clearly identified in the message). 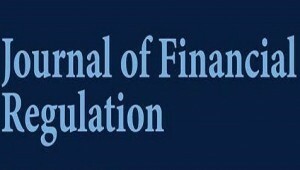 Authors who wish to have their conference submission considered for publication in the Journal of Financial Regulation should also submit their paper via the ScholarOne link available, under the ‘submit’ tab, on the journal website: academic.oup.com/jfr.